Yesterday it was Andres; today it’s Blanca. The second Tropical Storm of the 2015 Pacific Hurricane Season was officially given its name early this morning. 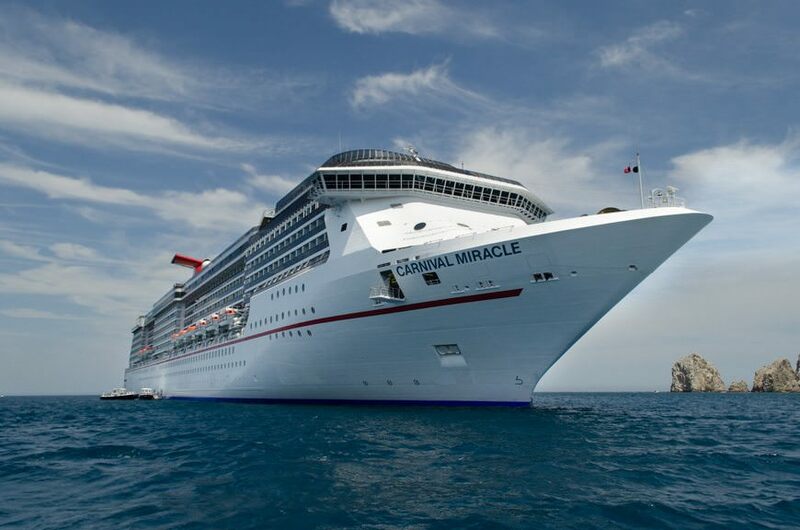 It’s currently located to the southwest of Acapulco and is moving very slowly in a northerly direction – so slowly, however, that it is highly unlikely to affect those of us onboard Carnival Cruise Line’s Carnival Miracle, which dropped anchor off a sun-drenched Cabo San Lucas, Mexico shortly before 11:00 a.m. local time. 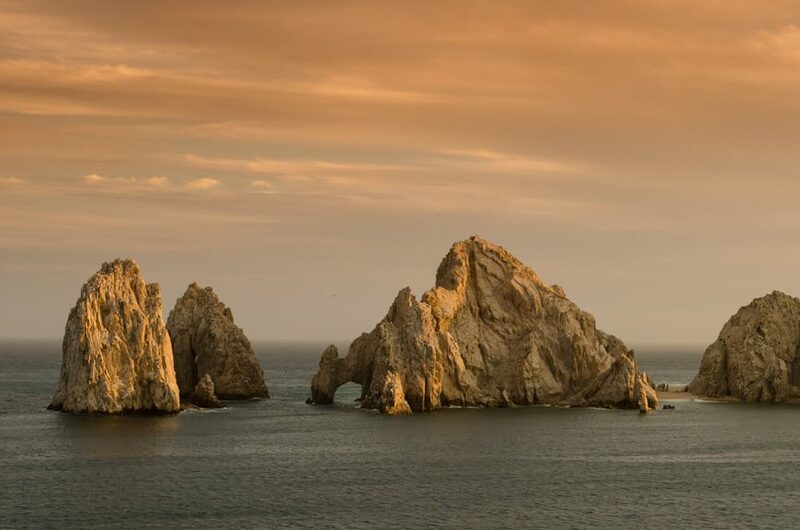 Located at the southern tip of the Baja California Peninsula, Cabo San Lucas – or Cabo for short – is actually part of a larger geographical area that is known as Los Cabos and – somewhat confusingly – also includes the nearby town of San Jose del Cabo. 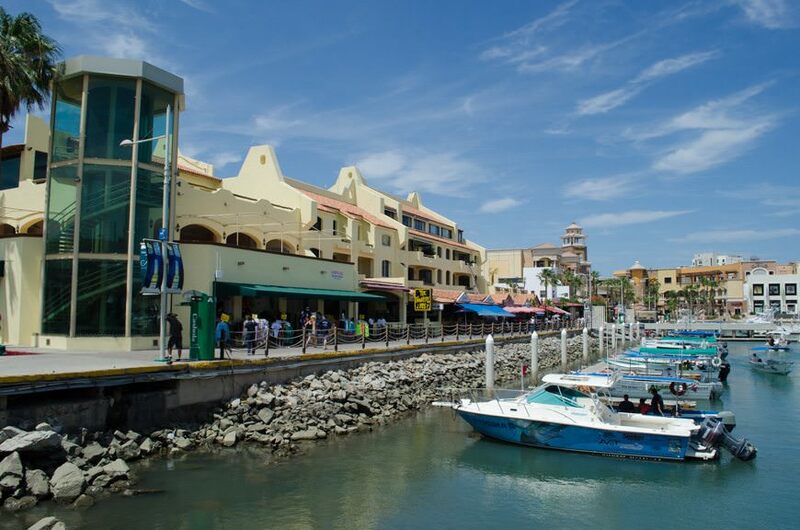 If you were to fly into Cabo San Lucas for a vacation, you’re actually flying into San Jose del Cabo – but your airport departure board will likely show “Los Cabos” as the departure destination. Try keeping all of that straight after a few bottles of Pacifico! 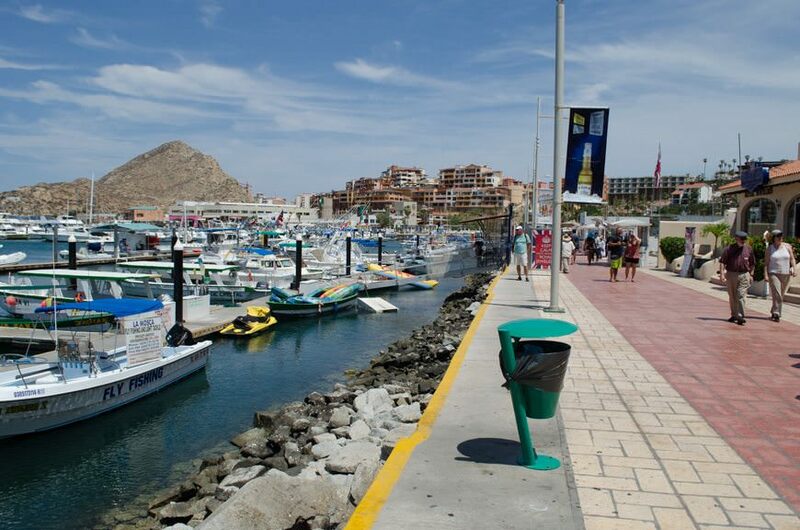 Cabo San Lucas itself literally went from being a sleepy fishing village – as most ports along the Mexican Riviera once were – to a hip and happening resort destination almost overnight. 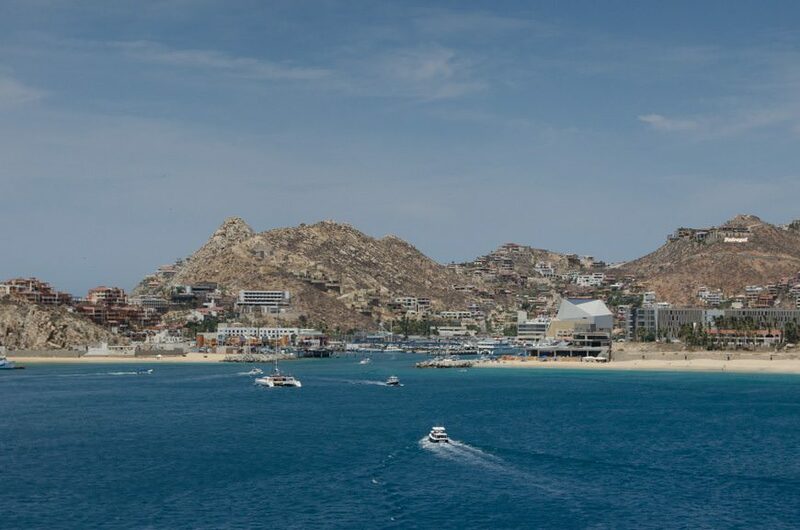 Although the permanent population of the city is just shy of 70,000 inhabitants, the tourists can easily outnumber the locals: Cabo is one of the Top Five destinations in Mexico for vacationing foreigners to visit. 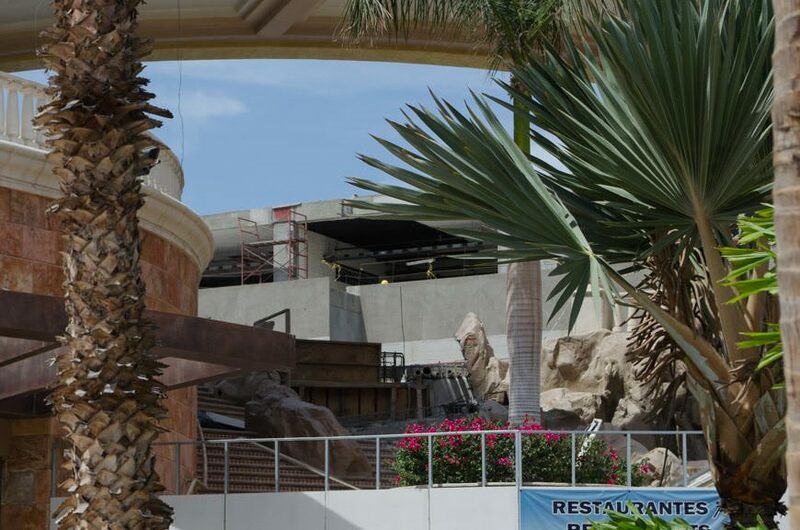 Because of all those tourists, resorts, hotels and restaurants (not to mention tourist-friendly shops and attractions) have been popping up as fast as they can be built. The harbour, which once held rickety fishing boats of dubious seaworthiness, now more closely resembles the marina at Charlotte Amalie on the Caribbean island of St. Thomas. 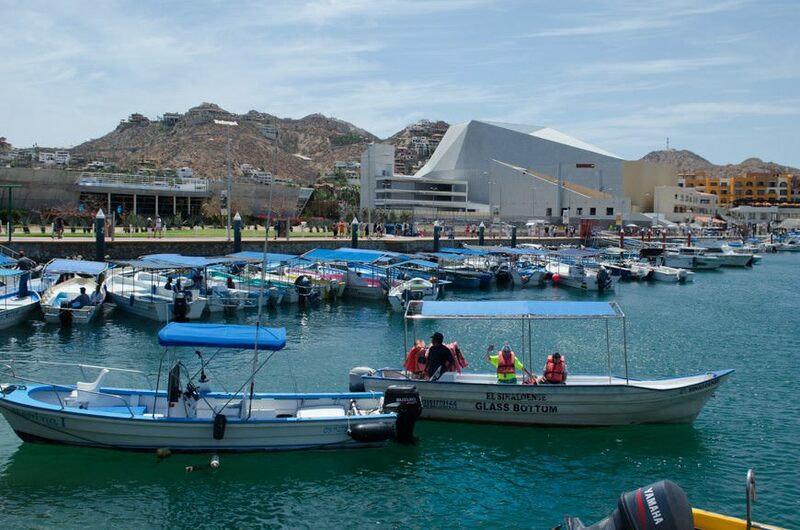 Today marks my fourth time to Cabo San Lucas, having previously visited in 2006, 2008 and 2010. 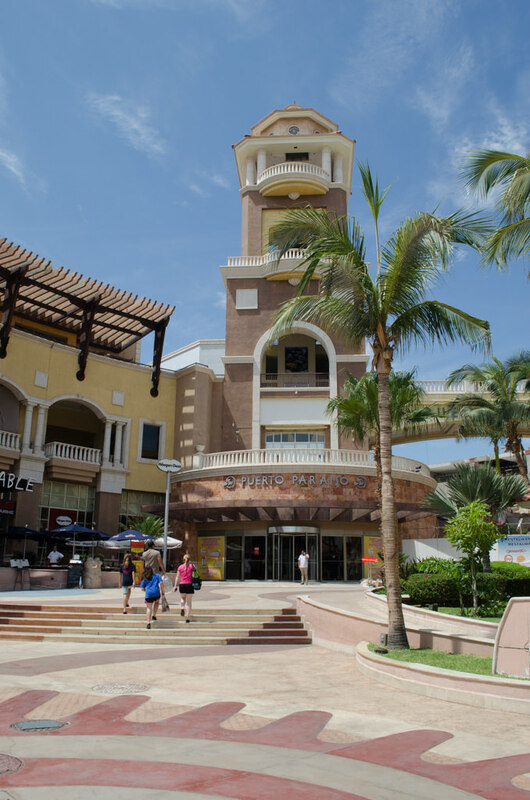 I didn’t notice a lot of differences in that four-year gap; save for a few new shops here and there and a swanky Cabo Dolphins aquarium housing a Swim-With-The-Dolphins experience, the town seemed mainly as it always had been. The changes in the past five years have been immediate and dramatic. New buildings have popped up all over the inner harbour, which is lorded over by a tan-coloured building topped with a silver geometric roof that rises like the peaks of the Rocky Mountains. Resorts line nearly every inch of the beach where once there was but sand and ocean. 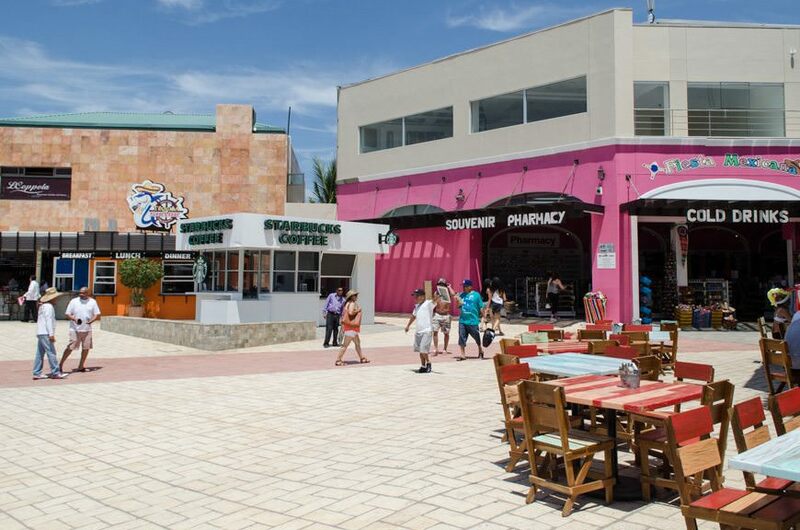 Cabo San Lucas is positively buzzing. Naturally, I planned to go ashore for a firsthand-look. 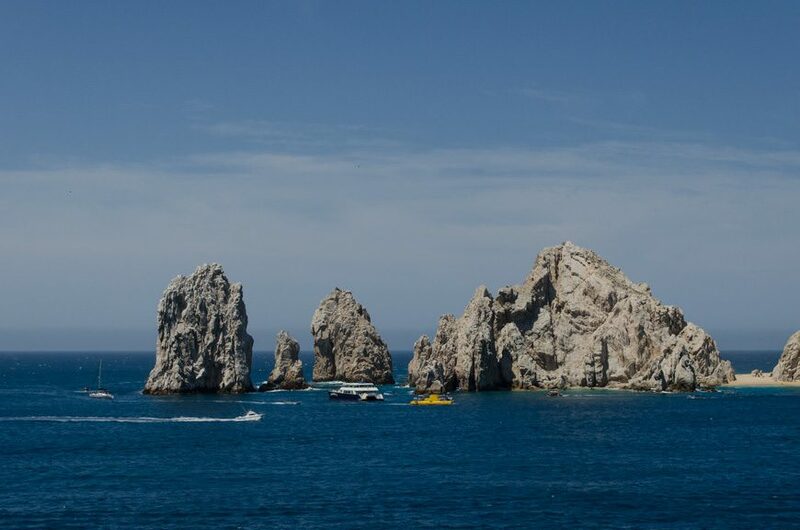 But Cabo San Lucas is a tender port, meaning all ships have to anchor in the picturesque bay not far from the famous Los Arcos rock formations and shuttle guests ashore by way of tender boats. Some ships use their own tender lifeboats (or, at least, they used to), but today we had nearly a dozen local blue-hulled tender boats providing their services to us. 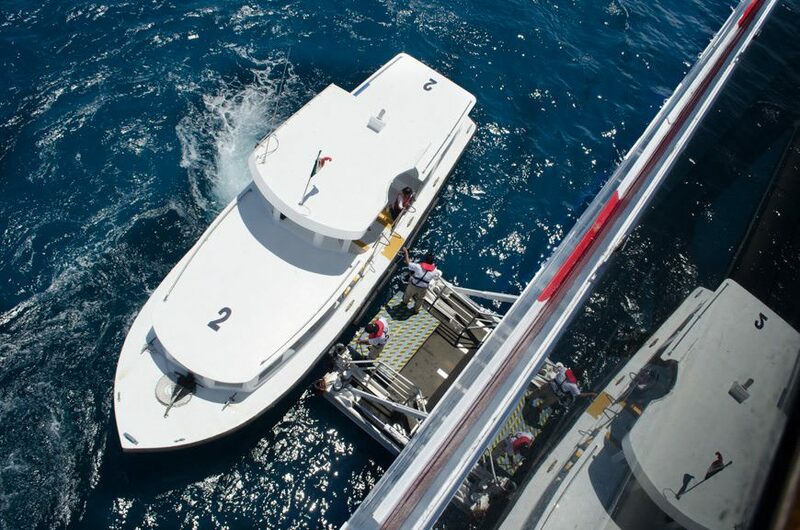 This is a great thing, as it saves the 45-minutes it would take to get the tenders lowered into the water and positioned at the floating tender platforms amidships on A Deck. On a big ship, though, tendering can get competitive. Carnival has a decent system where guests can get numbered Tender Stickers from the Lido Deck Midship starting from about 9:45 a.m. 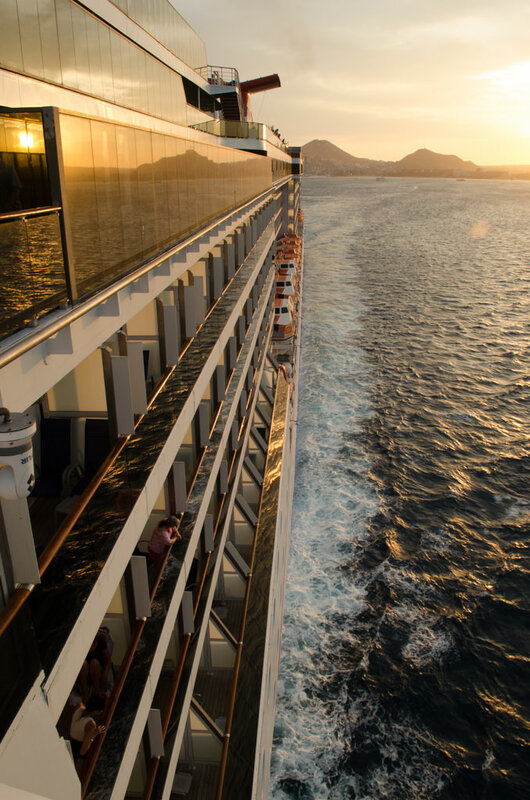 These determine which order guests will disembark the vessel for their day ashore. 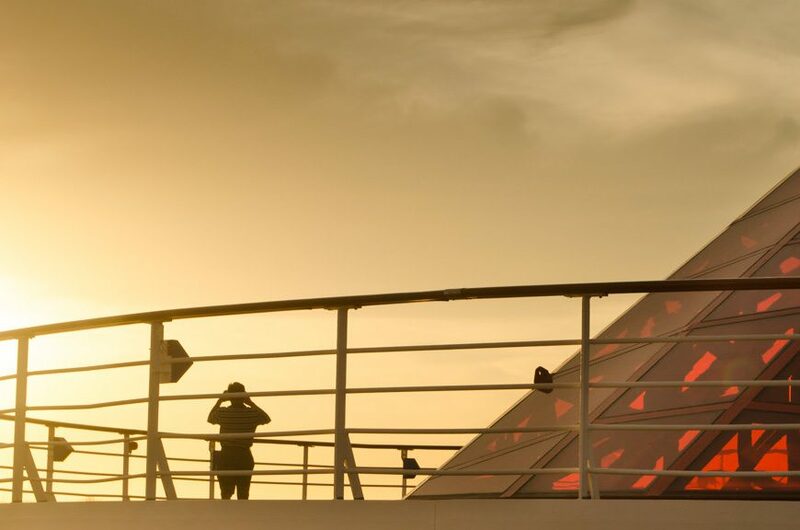 However, there are two other ways that I like to rely on when I’m on a big ship to make tendering ashore easy and effortless: book a shore excursion, or wait it out. 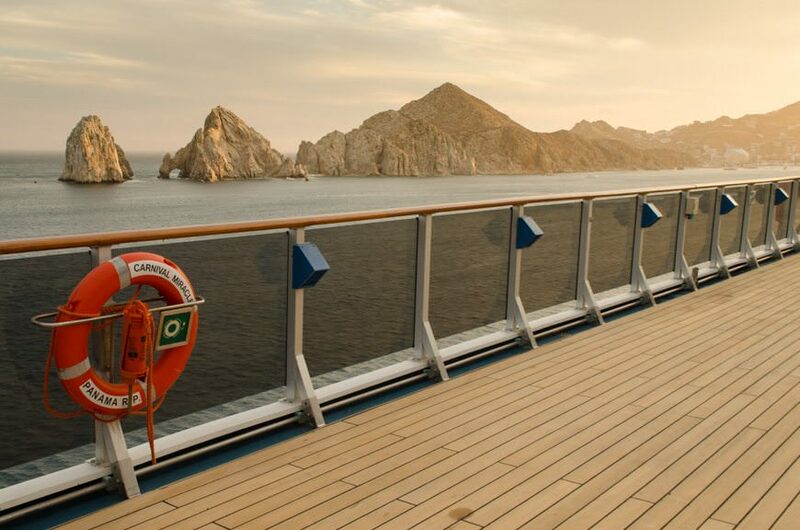 Carnival offers a total of 25 different excursions in Cabo San Lucas on this sailing, ranging from Jeep adventures to off-road ATV explorations to ziplining, dolphin swims, bicycling tours and even relaxing beach and shopping excursions. 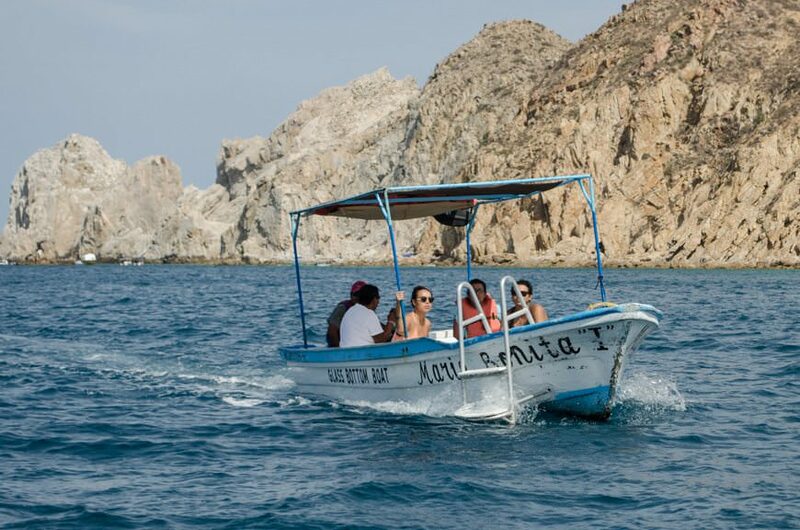 They range in price from the $31.99 per person boat tour of Land’s End to the $229.99 per person trip to the nearby Cabo del Sol Desert Golf Course, meaning there’s a tour for every budget. 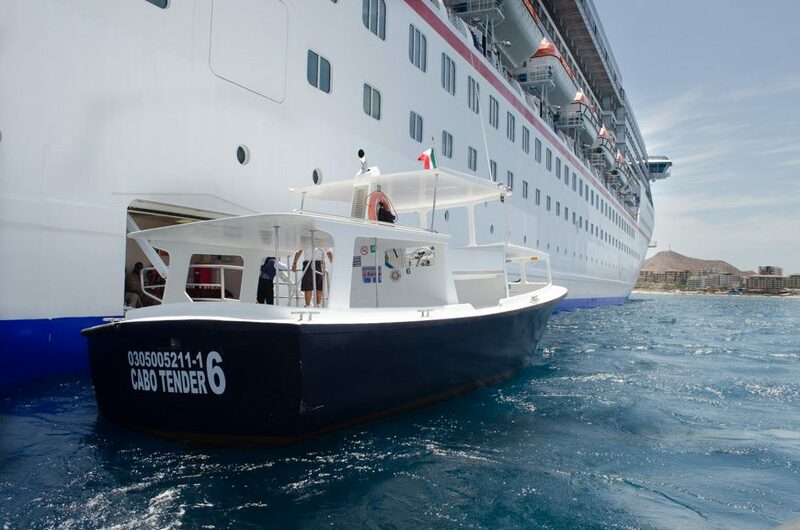 The advantage to taking one of Carnival’s tours in a port like Cabo San Lucas: you get to be one of the first people off the ship; the earlier the meeting time on your tickets, the closer to the head of the pack you’ll be when it comes time to board the tenders. 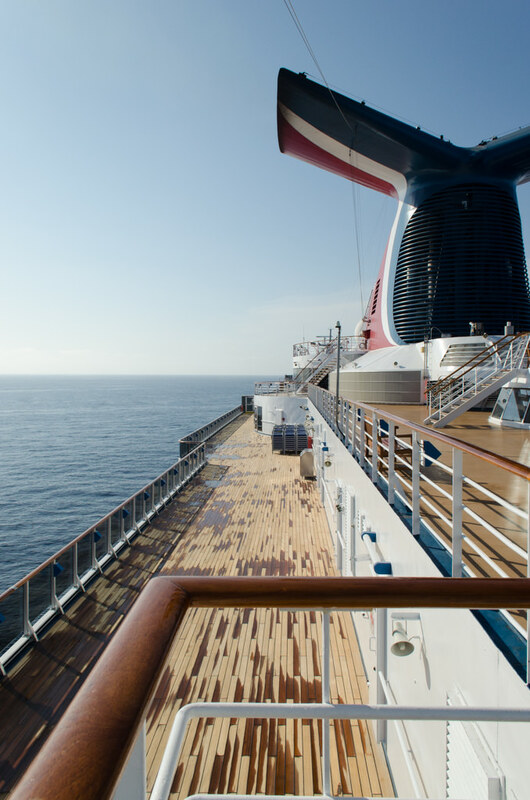 The other secret for disembarking the ship when you’re tendered: just wait a little while. Not a long time – 90 minutes or so. But long enough that the crowds dissipate. 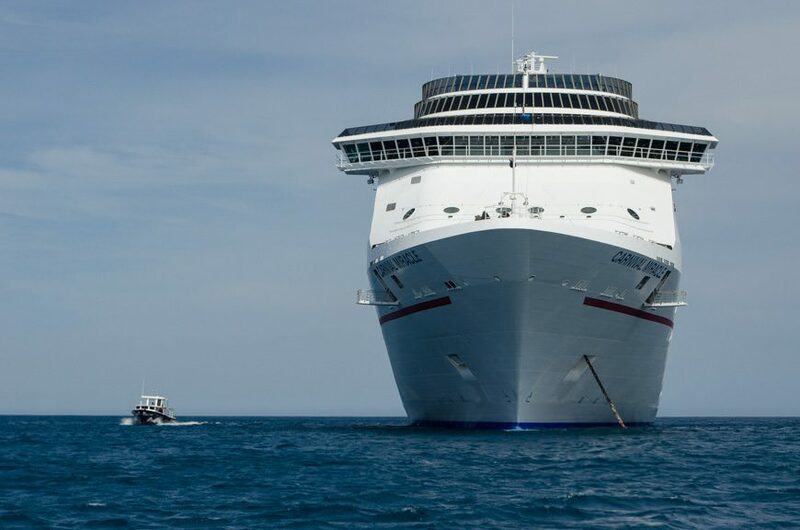 Getting off a large ship is a little like deplaning: everyone stands up all at once and wants to be The First to get off. 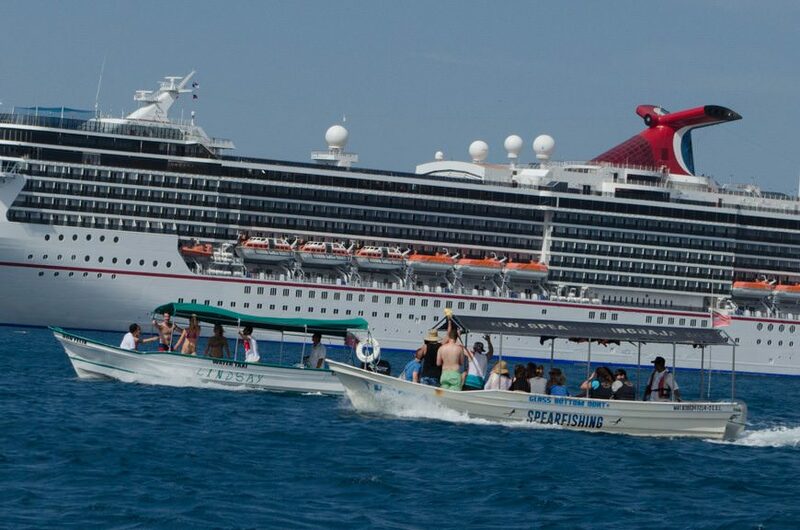 If you rush to get off the ship along with everyone else, you’ll spend all your time sitting in a public room waiting for your number to be called. Then, you’ll speed ashore in a jam-packed tender. Getting on will take longer. Getting off will take what seems like forever. And your reward? Elbowing your way past the same guests onshore that you elbowed past to get into the tenders in the first place. Because I didn’t have an excursion booked, I opted to play The Waiting Game, and I wasn’t disappointed. 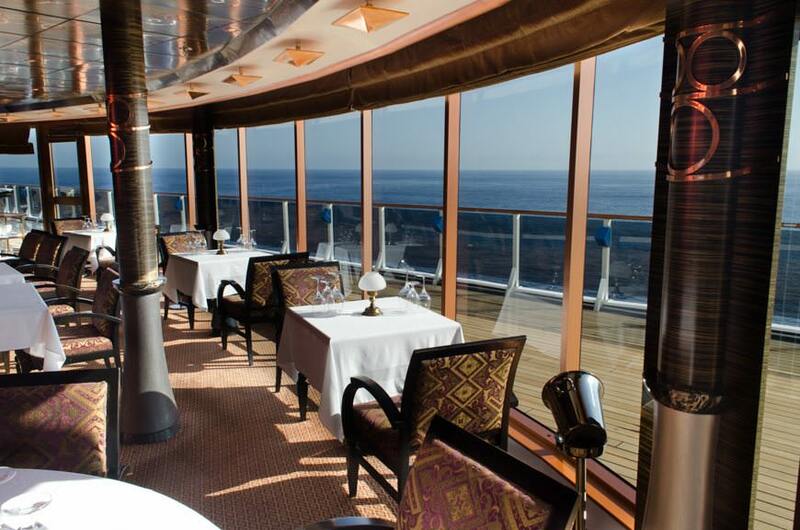 I relaxed on my balcony, read a bit of my book, did some writing, sipped a can of Coca-Cola, and then casually went up to Horatio’s Restaurant on Deck 9 for a bite to eat. Satisfied that my fellow guests had almost nearly all disembarked the ship, I took my time and strolled down to A-Deck, hopped on a mostly empty tender that showed up, and began my journey into town. My initial assumption from shore was correct: Cabo has changed. Dramatically. There’s very little trace of the haphazard village I visited back in 2006, when the harbour was full of half-sunken boats and the most glamorous place in town was the shopping mall at the end of the quay. New buildings – mostly condos and resorts – have popped up all over town. 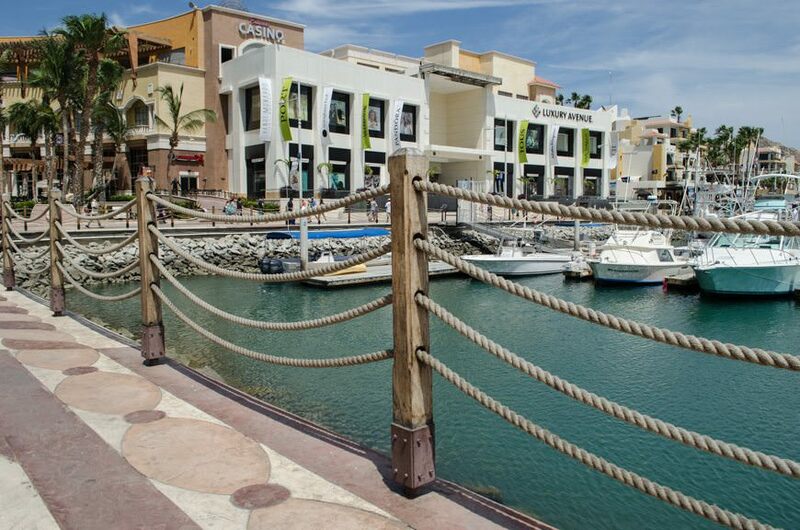 Luxury designer “boutiques” litter every corner of Cabo San Lucas. How trendy has it gotten? There’s a L’Occitane in the shopping mall, and a Johnny Rockets Diner outside. In fact, the only Mexican thing that seems to be left in Cabo San Lucas is the beer: the Coronas and Pacificos do flow here. Years ago, I’d always buy hand-crafted Mexican pottery. Flower vases, bowls, things like that. Today, I wanted to get another piece – and I had to hunt for two hours for a shop that actually had something other than designer T-shirts, which is what most souvenir shops have transformed into. The damage from last year’s hurricane is also apparent: Hooters is gone, and Ruth’s Chris Steakhouse is in rough shape. 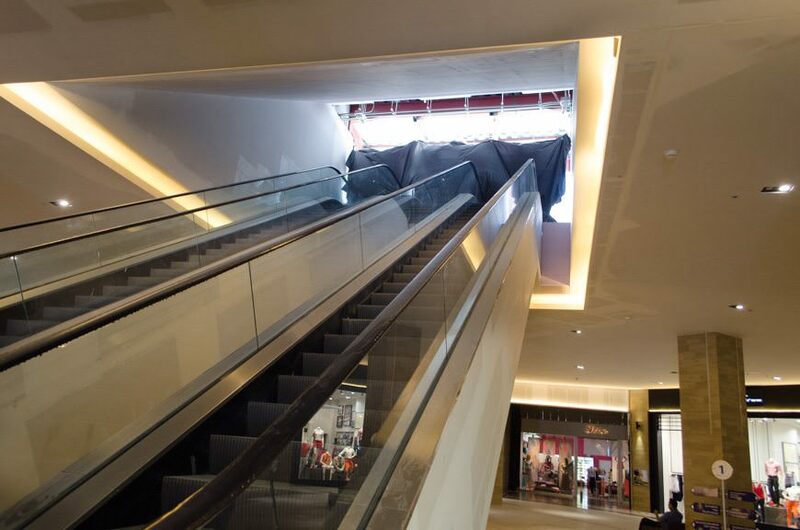 Almost the entire second floor of the shopping center was obliterated (the main escalators lead up to nowhere), and several floating docks still lie broken and twisted in the harbour. 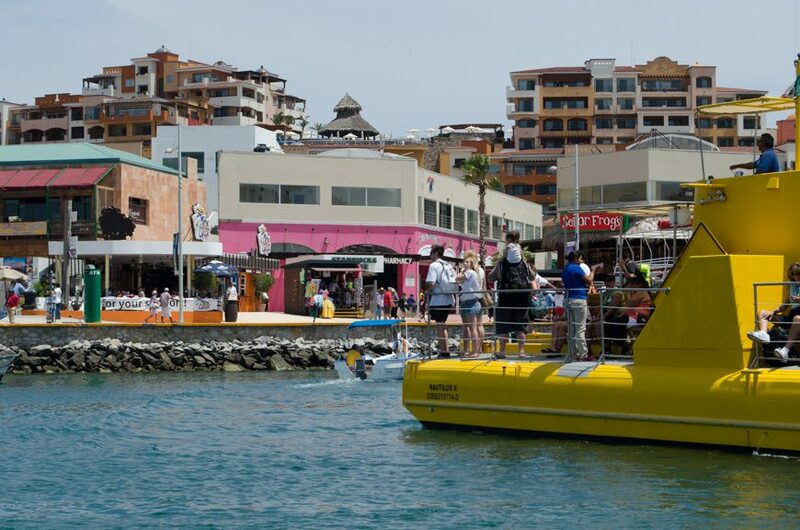 But Cabo San Lucas is resilient: the speed at which the town rebuilt is nothing short of miraculous. Cabo may have lost its Mexican charm, but it has lost none of the Mexican tendency for resilience and strength in the face of adversity. Banners hung throughout the city proudly wore the hashtag #Unstoppable as a rightful badge of honour. 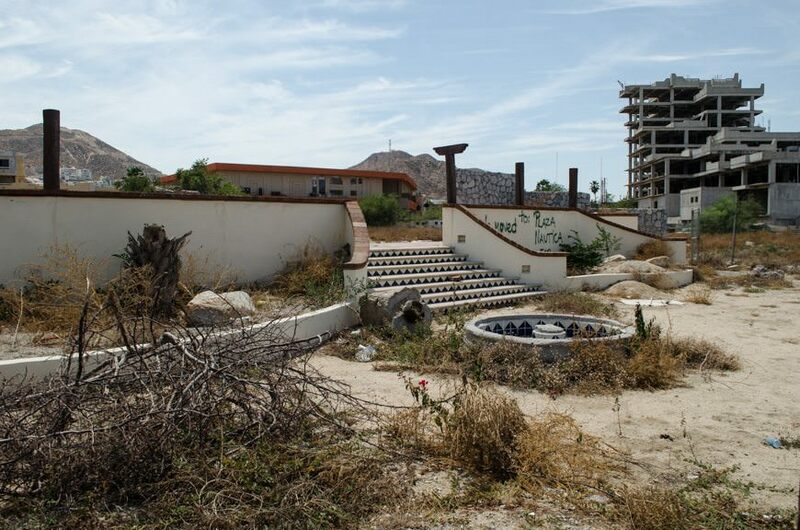 Still, I was a bit dismayed to find the Cabo I knew and loved is largely no more. 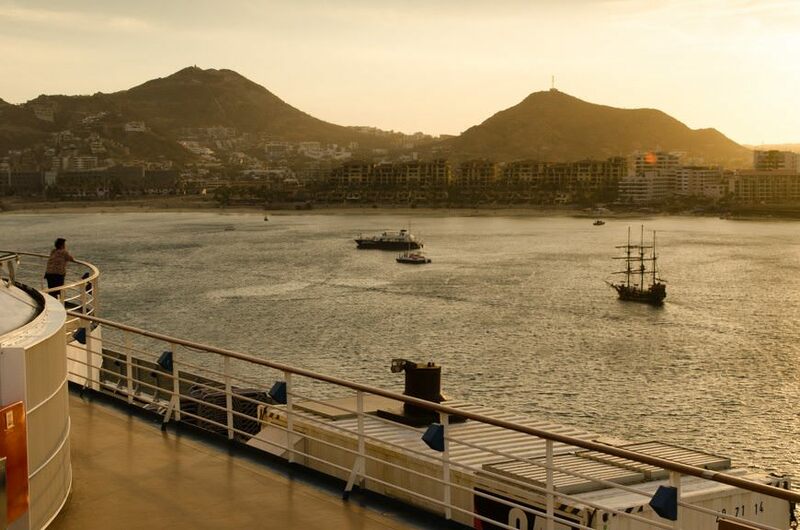 In the future, I’d be inclined to take a Shore Excursion here – and I can highly recommend the Dolphin Adventure with Cabo Dolphins that Carnival offers from two past experiences, both of which were overwhelmingly positive. Tonight, I dined in Nick & Nora’s Steakhouse, Carnival Miracle’s onboard Specialty Restaurant. 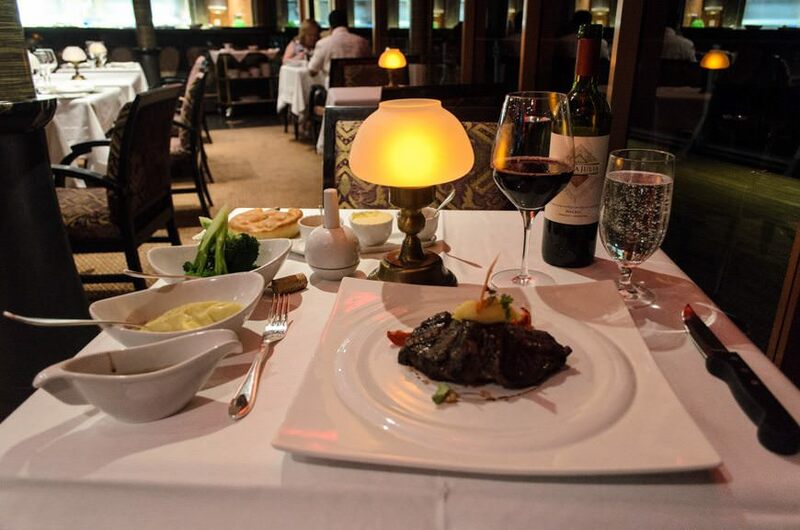 Spanning two decks in height, Nick and Nora’s is Carnival’s take on a classic American steakhouse experience. 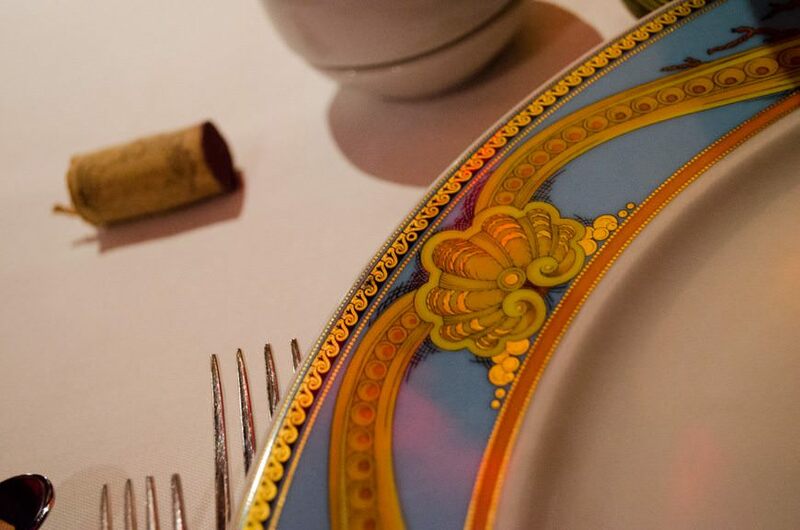 Though the names of the steakhouse change depending on your ship, the menu is set across the entire fleet, meaning the meal you enjoy at Nick and Nora’s will be identical to the one you have aboard Carnival Breeze in Fahrenheit 555. 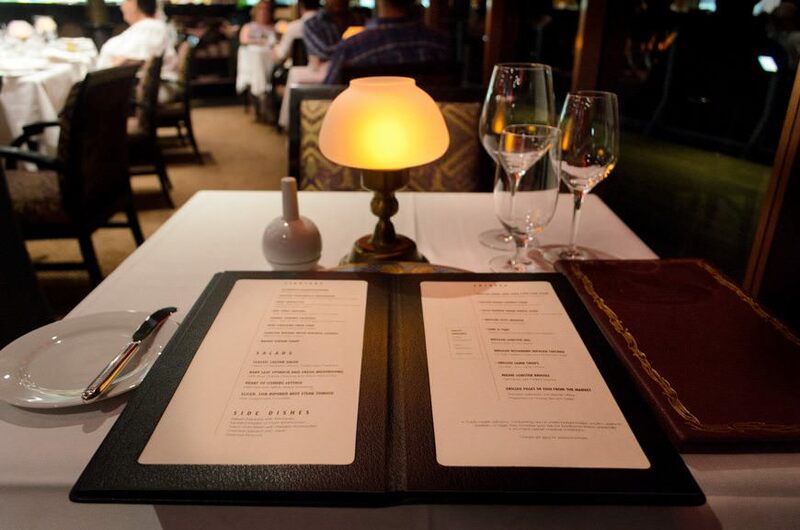 On the menu: a bevy of tempting choices, including four different kinds of steak; Surf & Turf; Lobster Tail; Lamb Chops; and even Lobster Ravioli. 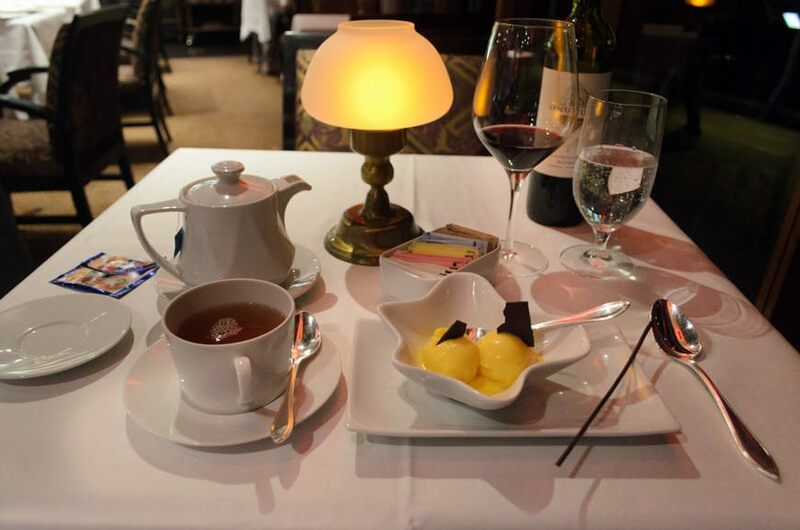 You can pair those mains with starters like Lobster Bisque with Vintage Cognac Soup; Ahi Tuna Tartare; Escargot; New England Crab Cake; Baked Onion Soup, and more. Then, there’s your choice of four salads and side dishes like steamed broccoli, creamed spinach with garlic, and my personal favorite – mashed potatoes infused with wasabi. It’s the kind of meal that would cost you well over $100 a head on land, yet Carnival only charges $35 per person to dine here. Is it worth it? Yes – as I entered the restaurant for my 8pm dinner, the table behind me was getting the largest slice of cheesecake I have ever seen in my life for dessert. Nick & Nora’s Steakhouse also has a very respectable, if not overly adventurous, wine list. Even still, I was able work my way out of California and choose a bottle of Malbec from Argentina. I like that. 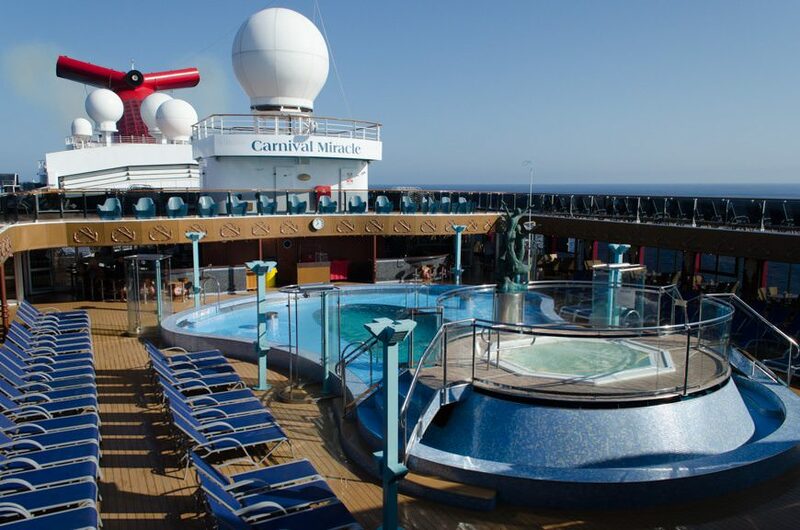 Once again, as with the rest of Carnival’s onboard experience, there’s something for everyone. 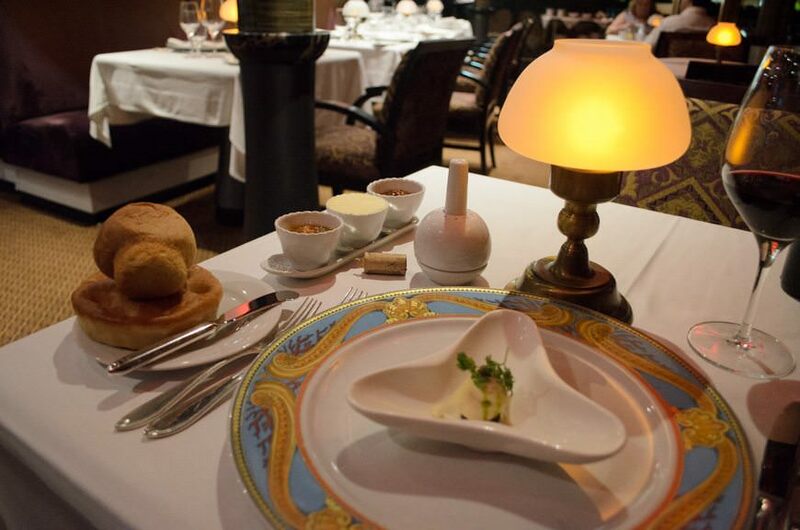 For dinner, I chose the Lobster Bisque, which is poured tableside. It was absolutely perfect, and rivals similar dishes I’ve had on luxury lines. I followed that with a Caesar Salad, also prepared tableside. I added anchovies to mine, and my waitress kindly told me they’d be very salty. I said that was okay, but I appreciated the warning: no doubt some guests have never eaten an anchovy before. For my main course, I’m all about the filet mignon. Done medium-well just as I had asked, it tasted succulent. The smallest portion at nine ounces, I was thoroughly stuffed by the time I was three-quarters done. How anyone downs the 18-ounce Cowboy Steak is beyond me! But once again, I’ll rave about the Wasabi Mashed Potatoes, which are ridiculously good. Give them a shot! So, to recap: for $35 a person at Nick & Nora’s, you get a serene, quiet, romantic, relaxed, intimate dining experience with great food that would easily cost you triple that on-land. Even travelling as a solo passenger, I enjoyed it so much that I’m going back later in the week. But next time: I’m skipping lunch! 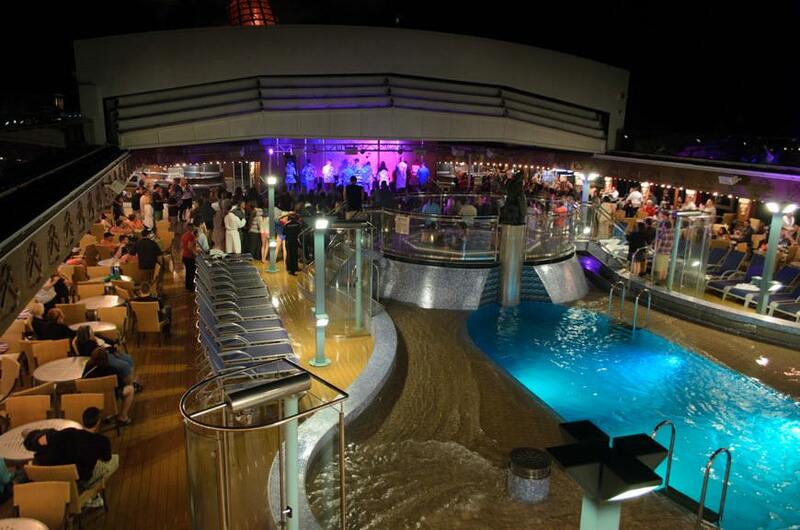 Tonight, Carnival offers up their famous once-per-cruise party up on deck. Known as Redfrog’s Beach Party, this event kicks off at 10:30 p.m. up by the Lido Pools on Deck 9, and officially kicks off at 11:00p.m. My past experiences aboard Carnival Breeze and Carnival Freedom were a ton of fun, and this evening tonight aboard Carnival Miracle was no exception. There’s something wonderful about staying up late and enjoying a drink under the stars, to the rhythmic sounds of Caribbean music. It sounds clichéd, sure. But it’s a truly special experience that you just cannot replicate on land – and I couldn’t be more thrilled that Carnival still sees that, too.